By searching the Library of Congress Classification or Control Number. All methods are located in the Add Books from CLZ Core screen. In this Getting Started we will be covering how to use the “by ISBN” tab in the “Add Books from CLZ Core” screen. Click the “by ISBN” tab. Type/Scan the ISBN into the ISBN box. 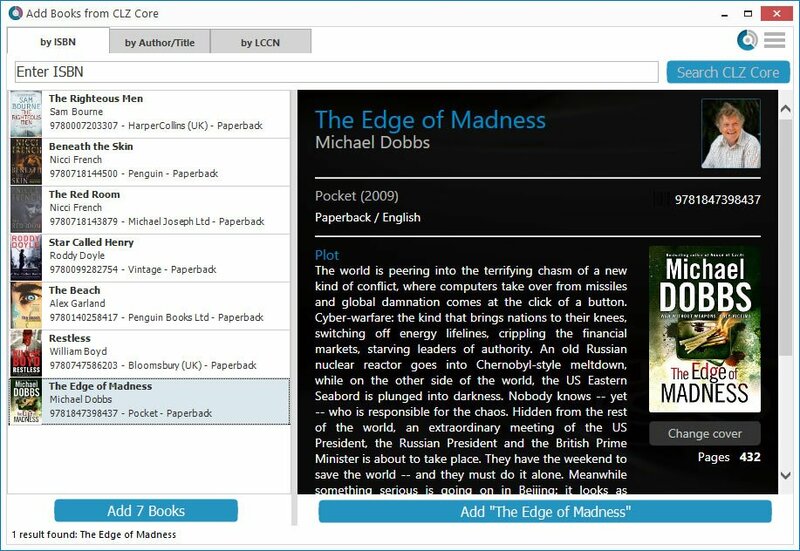 Use “Search CLZ Core” to add the ISBN to the queue and instantly find your book. To add your book use “Add [book title]” on the bottom right. *You can type/scan multiple ISBNs and search them. They will all be stored in the left hand panel for you to add in one go with the button bottom left. If you have a smartphone or tablet, you can scan and enter ISBNs with our free barcode scanning app CLZ Barry.